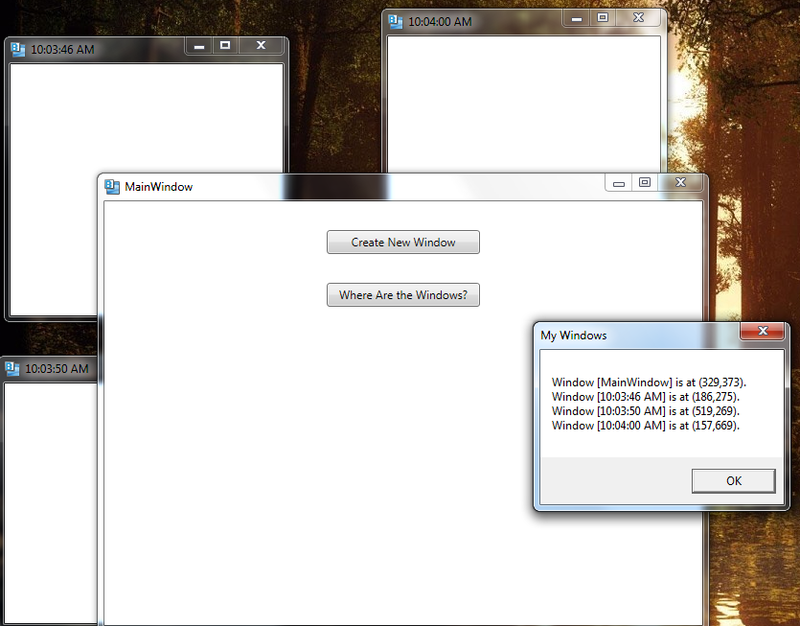 The Application class has a Windows property which is a collection of all of the windows that have been created by the current application. Whenever the user clicks on the Create New Window button, we create and show a new window. In the Click event handler for the Where Are the Windows? button, we can iterate through all of the windows that the application created and display some information about each one.